Pioneer High School junior Anne Ye didn’t know much about teaching when she and two other PHS students signed up to teach the new Rec & Ed Computer Coding class to elementary students. She just knew she loved coding. Anne Ye says she wishes she had been able to take a coding class when she was a third grader. Six weeks later, Anne can report that not only was she impressed with the younger students’ many “ah hah!” moments, but she’s now more confident in her own teaching skills. The curriculum was developed by Ted Emch, a computer science teacher at Pioneer, and classes were taught by his students at Eberwhite and Dicken elementary schools for students in grades 3-5. 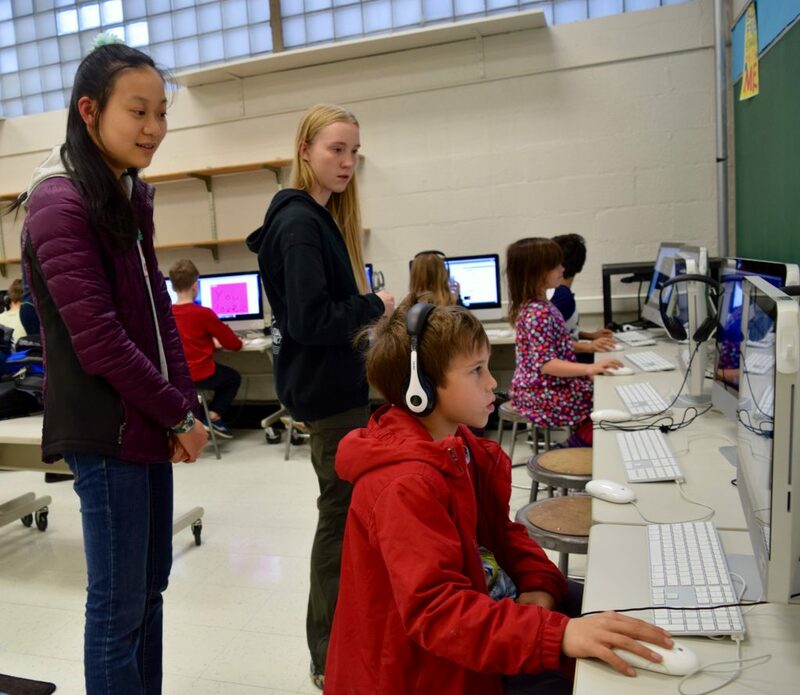 During the six weeks, students learned computer programming with Scratch. Students learn core concepts such as sequence, selection, and iteration in a meaningful and motivating context. 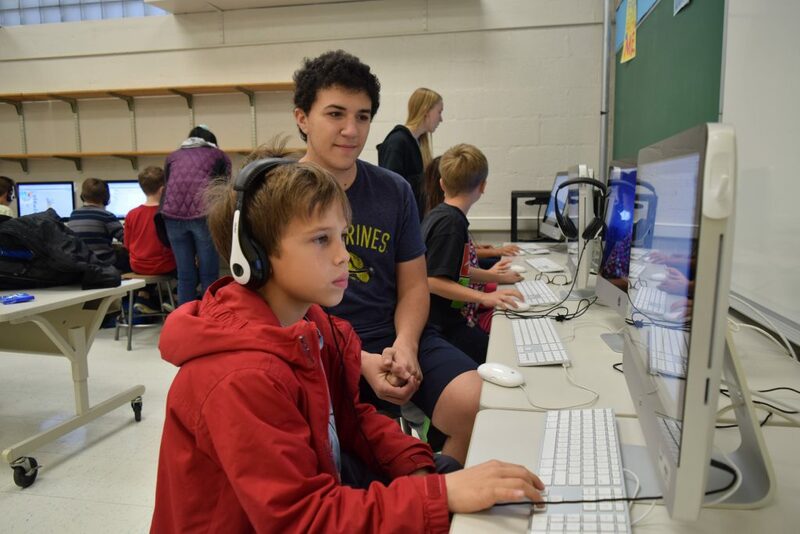 This is the first time Rec & Ed has partnered with a high school computer science teacher to offer a class. The six-week course has just concluded, but the hope is to offer it again in the fall. Emch designed the curriculum with both the high school students and elementary students in mind, said Jenna Bacolor, the district’s executive director of Community Education & Recreation. 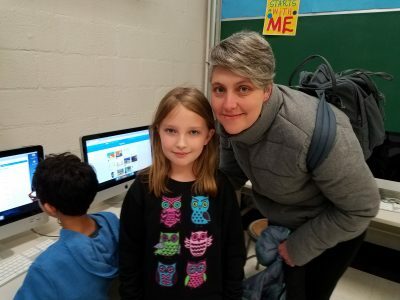 Prairie, a 9-year-old Eberwhite third grader, said that she’s liked everything about computers ever since she received her first computer last year. “I just like how they work and how they listen to commands and stuff,” she said. “I like how they’re made. It’s really cool. Prairie and her mom, Michelle, are fans of the new Computer Coding class. “And blow things up!” added a classmate. Prairie said she wants to take another coding class. Pioneer senior Emilia Stehouwer said she enjoyed working with the students. Anne and Emilia have enjoyed teaching the new Computer Coding class offered by Rec & Ed. “It’s really cool to see them progress,” she said. “Some of them knew very little, and it was cool to see them be able to do it themselves at the end. Fellow teacher Rami Souguir, a Pioneer junior, agreed that learning to code at a young age is a great way to learn logical reasoning, and should help students in math and other subjects. “The kids were active and engaged the whole time,” he said. Rami Souguir enjoyed teaching the six-week Computer Coding class offered by Rec & Ed. Anne disagrees with those who find coding tedious. Zayne, an Eberwhite third grader, said he had only one thing to say about the class. So, so proud of these young teachers. They are showing their young pupils what it means to be a Pioneer.